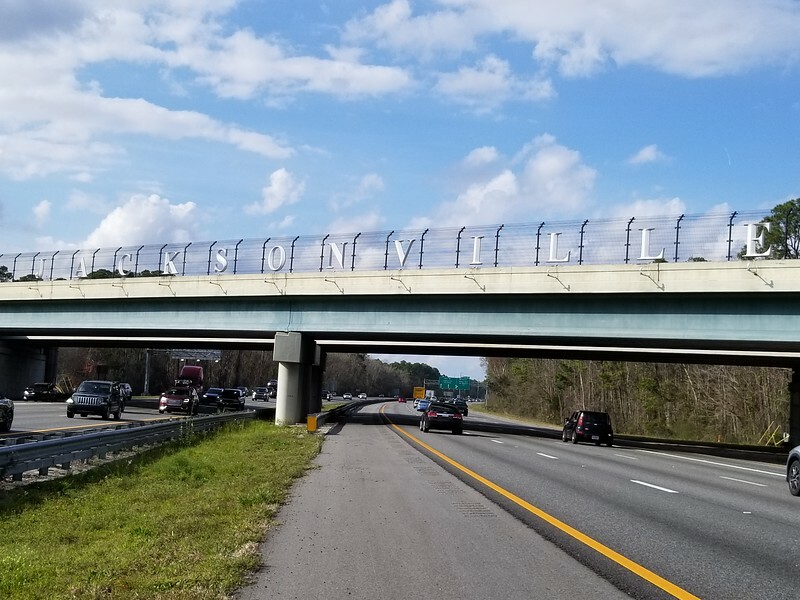 A new ‘Jacksonville’ sign will soon greet motorists traveling along I-95 on the North side of town, similar to the ‘Jacksonville’ sign on the Southside of town along I-95 at the Old St Augustine Road Bridge. If we are putting a 'Jacksonville' sign on the Northside, and already have one on the Southside, we might as well put one over I-10 as well for continuity. The bridge for Chaffe Rd seems like a good option since it already has the fencing like the Old St Augustine Rd bridge. For a JACKSONVILLE sign to welcome I-10 drivers, there would need to be a funding source. Per the article, both the I-95 signs use non-FDOT funding for the enhancement. If the funding could be secured quickly, the Yellow Water Road overpass might be better than Chaffee Road. As part of the US 301 interchange project, FDOT is going to replace the Yellow Water Road overpass (to fit more lanes under it, perhaps fix vertical clearance (not sure about the last one)). But, since that work will be coming up soon, and design work is either done, or nearly done, someone would have to write a check ASAP. TBH I'm just happy they put some landscaping around the new interchange at Hammond Blvd. I'm not worried about a Jacksonville sign on I-10.